What you will find is a thoughtful and often intimate portrait of the writer as both a young and an old man. 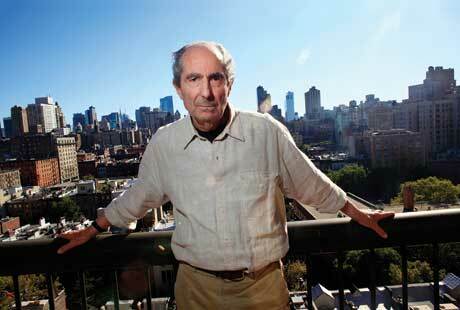 Roth is arguably the best American writer living, and certainly the best Jewish American writer. He would object to the latter description, of course; “I don’t write in Jewish,” he says a little peevishly, and he chooses Saul Bellow as the greatest American writer of the second half of the 20th century. No argument there, but Jewish American life is Roth’s great subject, and he has probed it throughout his career. No more vivid and humane portrait of what it meant to be an American Jew in post-World War II America exists than in his many novels and stories. Unlike some other writers of his generation, Roth has not sought out a lot of publicity, so watching and listening to him talk at length about his life and work is a fresh pleasure. Interviewed by Livia Manera, an Italian literary correspondent, Roth seems genial and relaxed and forthright. Those interviews are complemented by conversations with lifelong friends, including Mia Farrow, and other writers, such as Jonathan Franzen and Nathan Englander. Filmmakers Manera and William Karel take a straightforward chronological approach, and we learn about Roth’s childhood “mirth-filled” home in Newark and see him as a “dashing young man” at Bucknell, where he was the editor of the school’s literary magazine. Tall, lean, and dark-eyed, Roth was a good-looking young guy, and in the many photographs from that time he seems eager to investigate a world full of promise. Dismissive of those early literary efforts, describing them as dreadful, he explains that he began to write seriously when he was in the army. That was where many of the stories in his first collection, “Goodbye Columbus,” were written. “Portnoy” developed out of Roth’s experience with psychoanalysis, he explains, which he entered after his first marriage ended. Once he understood the process, he could create the character who free-associated in his analyst’s office. The book was also an outgrowth of his realization that he could be very funny; he’d been entertaining friends with comic riffs for a while. Later in the documentary, Roth remarks that Portnoy was a singular voice. There’s no going back. As a young man, Roth was ambitious for recognition, and at 80 years old, he must be the most celebrated American writer ever. He won the Pulitzer in 1997 for “American Pastoral,” and in 1998 he received the National Medal of Arts. He twice has won the National Book Award and won the PEN/Faulkner Award three times. In 2011, he received the National Humanities Medal at the White House. The list goes on. There’s a lot of information about Roth’s writing technique. He writes standing up in what seems to be longhand. Then he shares the manuscript with a select group of readers, listening closely to their reactions. Whatever the system is, it works fine. Roth is the unusual writer who has just gotten better as he’s gotten older. Two great calamities face him now, Roth says at the opening of the film, death and a biography, and of the two, he’s less afraid of death.